The benefits go beyond just etiquette. You may notice that Prince Harry, Meghan Markle and other members of the royal family are almost never photographed with their phones out. The royals avoid being seen with cell phones so assiduously you might even think they don’t have them at all. But Harper’s Bazaar pointed out a phone in Prince Harry’s pocket during his current visit to Australia with Meghan Markle, and Markle was spotted by the Daily Mail with her iPhone while departing the city, so we know that’s not the case. Royal etiquette expert Myka Meier, who founded the consultancy Beaumont Etiquette, explains to Thrive that hiding their phones is key to their roles as representatives of the British monarchy. 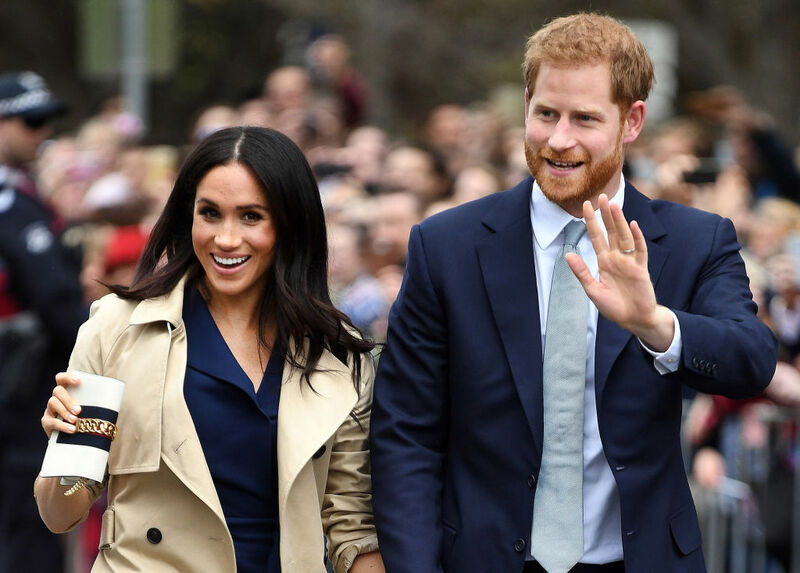 Harry and Meghan are technically working when out and about, and, “just like most high-ranking professionals would do in a formal business environment,” they leave phones in a pocket or handbag, she says. The implications of this habit, though, go beyond good etiquette. By staying off their phones in public, the royal family members are tapping into a deep reservoir of research on the negative effects that constant mobile phone attachment has on our relationships. Mariek Vanden Abeele, Ph.D., a professor of information and communication science at Tilburg University in the Netherlands, and a specialist on the social impact of mobile devices, explained the impact and its psychological underpinnings to Thrive. “There’s a central paradox here,” Vanden Abeele explains. “Technology that is so social, so geared towards being in touch constantly, is also very disruptive to our in-person social contact. Online closeness comes at the expense of offline closeness,” she says. That disruption comes from two major effects on our relationships. First, by constantly paying attention to our phones, we are violating the normal expectations of how people pay attention in conversation. Our body language and responsiveness — eye contact, open posture directed at the person we’re speaking with, taking turns throughout a discussion — are huge indicators of attention, and these cues are interrupted by cell phone usage, and even the presence of a cell phone in hand. When those expectations are disrupted, it can lead to the perception of rudeness and lowered relationship satisfaction, Vanden Abeele explains. For members of the royal family, who are regularly expected to engage and connect with people they don’t know, avoiding rudeness is key. The second major effect of using a phone during conversation is that the habit can register as social rejection, further harming your IRL relationships. Sitting with a conversation partner who is on their phone during isn’t just a violation of normative expectations. It’s also an experience of social rejection, says Vanden Abeele. While the same distraction effect could apply as much to reading a newspaper during a conversation as to using a phone, there is a special kind of damage caused when you’re on your cell, because a phone is an inherently social object. “You are not just reading; you are often interacting with others, which indicates that you prefer another interaction over the present one,” Vanden Abeele says. Your conversant is excluded from your online interactions, and that can make them feel socially ostracized — not a great look for the royals, or anyone, for that matter. So let’s all take a cue from the royals. There are several levels in which we can manage our relationships with our phones to keep our relationships strong. These actions involve things you have power over on your own, such as using digital tools like Screen Time to limit or manage phone usage and making agreements with yourself about when you will put away your phone, Vanden Abeele suggests. One such agreement with yourself? When you’re driving, put your phone in the trunk. Focus on driving and spending time with whomever is in the car with you by taking away the temptation of a text. Institute policies like no phones over dinner, or no screens when you are having quality time with your kids. Vanden Abeele also pointed out that it’s important to think through the kinds of group or interpersonal situations where a phone is most damaging, and manage accordingly: A TV evening with your family, for example, is a less damaging place to scroll or text than a family meal or an anniversary dinner out with your partner. If you are a manager, you might consider instituting policies that limit your employees work-driven need to stay connected. Vanden Abeele gave the example of a policy at her husband’s company: Emails are routed to employees only three times a day, in batches, which gives employees a guarantee of off-email time in the evenings and concentrated work periods, uninterrupted by constant online connectivity. While this specific policy might not be feasible in every workplace, companies or teams within companies have the power to agree on certain practices that limit the work-driven need to be online all the time, and thus limit the tolls of that connectivity on offline relationships.